This entry was posted in Candle Making Recipes, candle making supplies, Fragrance Oils, Natures Garden and tagged best christmas scented candles, best pillar wax, best wax for melts, bulk candle making supplies, candle making, candle making supplies, candle oils, candle scents for christmas, Candle Tarts, christmas candle making, christmas coffee scent, Christmas craft recipe, christmas crafts for adults, christmas scented oil, Christmas scents, christmas scents list, chritsmas gift ideas, coffee wax melts, coffee wax tarts, diy candles, diy room scents, diy room scents for xmas, diy wax melts, fragrance oil, fragrance oils, fragrance oils for christmas, free recipes for christmas, french vanilla coffee fragrance oil, great scents for the holidays, handmade candles, herbs for christmas, holiday coffee scent, holiday room scents, holiday scents, holiday wax melts, homemade candles, homemade rustic wax tarts, homemade wax melts, homemade wax tarts, how to layer wax melts, how to layer wax tarts, how to make wax melts, how to make wax tarts at home, how to scent candles, how to scent wax melts, ideas for christmas, ideas for christmas crafts, layered wax melts, layered wax tarts, making room scents for the holidays, natures garden, oils for candle making, pillar of bliss tarts, pillar waxes, products for the holidays, scented oils, scented wax for christmas, silicone molds, smells associated with christmas, snickerdoodle cookies fragrance oil, things to put in wax warmer, wax for homemade candle tarts, wax for homemade melts, wax melt ingredients, wax melts as gifts, wax potpourri, what wax should i use for melts, xmas craft ideas on November 27, 2017 by Deborah Ward. Our next wax melts recipe for Christmas was inspired by our favorite holiday blend coffee. Not only does our favorite coffee use ground cinnamon and allspice, it also uses cocoa powder and vanilla! Is your mouth watering just thinking about this delicious coffee? Go ahead and prepare some Snickerdoodle Coffee, we’ll wait for you! Are you ready? Ok! Now, get ready to make Natures Garden’s Christmas Coffee Wax Tarts Recipe. This wax tart recipe was inspired by the glorious aroma of the actual coffee. This layered wax melt recipe uses two of Natures Garden’s wonderful fragrance oils, Snickerdoodle Cookies Fragrance Oil and French Vanilla Coffee Fragrance Oil. Not only are these wax melts scented with two awesome fragrance oils, we also topped them with fresh coffee beans! This recipe truly was brewed to perfection just for you! Not only do they smell amazing, but they look totally adorable! Before we begin creating this recipe, let’s talk about some of the Natures Garden ingredients we are using. Below, we will talk a little bit about our wax selection, molds, and fragrance oils used in our Christmas Coffee Wax Tarts Recipe. I would like to take a moment to talk about the wax that we will be using today. We are often asked by our client some of the differences in the waxes that we carry. Today, I will tell you a little bit about our Pillar of Bliss Candle Wax. This particular wax is used when creating melts that will be used in your burner, or for pillars and votive candles. Natures Garden Pillar of Bliss Candle Wax is soy wax and paraffin wax blend. While many people love natural soy waxes, it can sometimes be difficult to work with. So, this wax is like the best of both worlds. Straight soy wax can have a rough finish and naturally frost. In addition, it can sometimes be difficult to get the absolute best hot scent throw. Well, this pillar wax also contains paraffin wax. The benefit of paraffin wax is that it helps give a wonderful scent throw. Additionally, it gives the wax a nice and smooth creamy finish. Often we are asked for recommendations on wax for wax tarts. Well, the Pillar of Bliss wax is the one that I personally use. Since it is a pillar wax, it will pop out of your molds very nicely. When you use a container wax for tarts it doesn’t come out of the jars as easily. This is because container waxes are meant to be softer so that they cling easily to your candle jars, but will do the same when used in candle molds. So, it can be difficult to remove container waxes from molds. My personal rule of thumb, if it is going into a mold or clamshell, use a pillar wax. In addition, the Pillar of Bliss Wax comes in a granulated form, making it very easy to work with. Finally, it has an amazing scent throw and a nice creamy finish. I absolutely love working with silicone molds. They are durable and make removing the wax melts a breeze. In addition, they are actually made for baking so they can handle the heat of the hot candle wax. Some plastic molds can be a little more difficult to work with, requiring you to pour at a much lower temperature. If you haven’t tried working with silicone molds yet, I highly recommend them. I love them for candle making, soap making, and cosmetic making. Now, this candle making recipe will create 24 wax melts for your burner. You will need a total of two of the mini muffin silicone molds for the Christmas Coffee Wax Tarts Recipe. Now, that we have talked about some of the ingredients we are using, let’s begin. First, prepare your work area. You want to make sure you have a clear and also clean area to work in. Then, you are ready to begin preparing your handmade coffee wax tarts. The bottom layer of your coffee wax tarts will be colored a coffee brown color. In addition, it will be scented with Snickerdoodle Cookies Fragrance Oil by Natures Garden Candle Making Supplies. So, we will begin by preparing this brown layer of your wax melts. You will need to get two of your mini muffins silicone molds ready. We begin by preparing the Pillar of Bliss Wax for the bottom snickerdoodle layer. We will use a double boiler to melt the candle wax. You will need to put a few inches of water in your pot. Turn your stove top on to heat the water. Next, weigh out 345 grams of the pillar wax using your pouring pot. Then, place your pouring pot inside the warmed water. Finally, melt the candle wax to 195 degrees. Next, we will color the wax for the bottom snickerdoodle layer. You want to color your wax melts at the temperature of 195 degrees Fahrenheit. We will be using two liquid candle dyes, both Natures Garden Spectrum brown and black liquid candle dyes. To your melted candle wax, add 2 drops of black liquid candle colorant and 3 drops of the brown liquid candle dye. Then, mix to fully disperse the color. Once you have finished you will need to wait for the temperature of your candle wax to drop to 185 degrees Fahrenheit before moving on. Next, we will be adding the Snickerdoodle Fragrance Oil to the bottom layer of wax. For this recipe, we will be using 41 grams of Natures Garden’s Snickerdoodle Fragrance Oil. So, when your wax is at 185 degrees Fahrenheit, go ahead and add the Snickerdoodle scent. Then, mix with a mixing spoon to completely blend the fragrance oil with the candle wax. You want to stir for about 30 seconds. Now, we will be pouring the bottom snickerdoodle layer of wax. Before pouring, allow the temperature of the candle wax to drop to about 175 degrees Fahrenheit. Once the Pillar of Bliss is at the proper temperature, fill the 24 cavities of your silicone mini muffin mold about 3/4 of the way full. Finally, allow this layer to fully setup before beginning the next layer. The top layer of your wax tarts will be left uncolored. However, it will be scented with French Vanilla Coffee Fragrance Oil. So, we will begin preparing this layer of your wax melt. You will pour this layer directly on top of the brown layer of your melt in your mini muffins silicone mold ready. It will be the top white layer of your wax melts. We begin by Preparing the Pillar of Bliss Wax for the top vanilla coffee layer. We will use a double boiler to melt the candle wax. Again, you will need to put a few inches of water in your pot. Turn your stove top on to heat the water. Next, weigh out 258 grams of the pillar wax using your pouring pot. Then, place your pouring pot inside the warmed water. Finally, melt the candle wax to 185 degrees. Next, we will be adding the French Vanilla Coffee Fragrance Oil to the Top layer of wax. For this recipe, we will be using 34 grams of Natures Garden’s French Vanilla Coffee Fragrance Oil. So, when your wax is at 185 degrees Fahrenheit, go ahead and add the French Vanilla Coffee scent. Then, mix with a mixing spoon to completely blend the fragrance oil with the candle wax. You want to stir for about 30 seconds. Now, we will be pouring the top French vanilla coffee layer of wax. Before pouring the candle wax, allow the temperature of the candle wax to drop to about 150 degrees Fahrenheit this time. By pouring at a lower temperature, the heated wax will not melt the previous layer. Once the pillar of bliss is at the proper temperature, fill each of the 24 cavities of your silicone mini muffin mold the rest of the way. Finally, you will be adding a decorative touch to your wax melts. This will be in the form of fresh whole coffee beans. You will need to quickly add the coffee beans to the top of your wax melts. We used about seven or eight beans for each wax melt. You will want to do this as soon as you pour your last tart. So, after you have poured your white layer, begin adding the coffee beans. Once you have added coffee beans to each melt, simply allow your melts to setup. Once your Christmas Coffee Wax Tarts have setup make sure you allow them to cure for a few days before using them. Finally, after your wax melts have cured, they are ready to use. To use your wax tarts, simply place one in your wax burner and enjoy the wonderful holiday coffee aroma. We hope you love these Christmas Coffee Wax Tarts. We loved creating this recipe, along with many other fragrance fun creations found in our free classes and recipes box. Make sure you check out all the fun. Have you created fun holiday recipes that you would like to share? Show us what you have been up to. We would love to see all the fragrance fun you are having! Post your pictures on the Natures Garden Facebook page. Alternatively, you can tag us on our Instagram page or our Twitter page @ngscents. This entry was posted in candle making supplies, Fragrance Oils, Natures Garden, soy candles, soy wax and tagged 100% pure soy, 415 soy wax, Advice for Making Soy Wax Candles, beer candle, best soy wax for container candles, best soy wax for scent throw, bulk soy wax wholesale, candle fragrance, candle making, candle recipe, candle supply wholesale, candles for massage therapy, citronella candle recipe, Citronella Soy Wax Candle Recipe, craft supply wholesale, creative candle recipes, creative soy candles, creative warmer ideas, embedded candles, festive candles homemade, football field candle loaf recipe, football field inspired candle, fragrance candle, fragrance candles, golden brands 464 soy wax 50 lb case, Golden Foods Soy Wax 444, Golden Foods Soy Wax 444 Soy Candle Recipes Golden Foods Soy Wax 464Soy Candle Recipes Golden, Golden Foods Soy Wax 464, Green Beer Candle Recipe, high melt point, homemade candle, homemade candles, homemade scented candles, how to make candles from scratch, how to scent candles, how to scent your home, how to start selling candles, Leopard Candle Recipe, leopard print candle, leopard print candles, making soy candles fragrance, Mardi Gras Candle Recipe, massage candle recipe, natures garden, NG 100% Soy Wax, oil warmer ideas, potpourri gel, pure soy candle, pure soy wax, room scent, scent candles, scent warmer, scent your home, scented candles, scented soy wax, scented wax candle, Shimmer Gel Potpourri Recipe, solid candle, soy candle, soy candle fragrance, soy candle fragrances, soy candle making, soy candle oil, soy candle recipe, soy candle recipes, soy candle scent supplies, soy candle scented, soy candle scents, soy candle wax, soy candles, soy candles scented, soy scented candle, soy scented candles, soy wax 444 vs 415, soy wax 444 vs 464, soy wax 464, soy wax candle, soy wax candles, soy wax flakes, soy wax flakes walmart, soy wax flakes wholesale, Soy Wax Golden Foods 415, soy wax scented candle, soy wax scented candles, sparkling potpourri gel, St Patricks Day Candle Recipe, stronger scented candle, types of soy wax, warmer, wax for essential oils, wax scents, what to put in a wax warmer, wholesale 444 soy wax, wholesale 464 soy wax, wholesale candle scents, wholesale pure soy wax, wholesale scented candles, wholesale soy wax, zebra candle, Zebra Candle Recipe on June 15, 2017 by Deborah Ward. We at Natures Garden created this blog to discuss the differences between our three soy waxes and share our best Soy Candle Recipes. So, let’s talk a little bit about soy wax! Soy wax is a natural vegetable wax that is created from soybeans. Plus, this wax is environmentally friendly and a renewable resource. So, we can all feel good creating our scented candle masterpieces. Plus, this wax really isn’t just good for the environment, it can be used to make some great scented candles! They burn slower and cleaner than a candle made from paraffin wax. So, there is less soot left over as the candle burns and you even get a longer lasting candle! Plus, the wax is one of the most enjoyable waxes to work with! It comes in an easy to use form that makes weighing out and clean up super easy! It comes in flakes form instead of a slab. We at Natures Garden have three types of soy wax available, which are Golden Foods 444, Golden Foods 464, and NG 100% Soy Wax (Golden Foods 415).While all of these candle making options are made up of natural soy wax, there are a few slight differences between the types of soy wax that we carry. Some have varying melting points or have a different allowance for scent load, but each has a different set of characteristics that make it unique. A wax may have better qualities in one area, while another type has better qualities in a different area. So, choosing the right wax for you is all about figuring out what you value in a soy candle and which wax suits your needs best. So, let’s discover your favorite type of soy candle wax! As we discuss the benefits and drawbacks to our different types of soy waxes you can choose from, there may be some specific terms that you will want to know. It is important to know what we mean when we refer to these things to get a better idea of what you will be getting into. First, we have the possibility of candle frost. This occurs in soy wax where the appearance on parts of the jar look lighter or even white. While this doesn’t impact the quality of the burn or scent, it may impact the appearance. Additionally, there is the possibility for wet spots to occur in your candles. This is when the wax cools too quickly in the jar and the wax doesn’t adhere to the jar in some places. This will look like some air or water became trapped between the wax and the container. Further, tunneling could be a problem where the wick is too small for the jar and isn’t able to heat the wax at edges of the jar. First of all, we have the NG 100% Soy Wax, which is known as Golden Foods 415 Soy Wax. This original soy wax is 100% pure soy without a single additive. This 100% soy wax is all natural and all regular soy. While this wax is just plain soy, it has a few interesting qualities. Firstly, the melting point of this type of soy wax is 120-125 degrees Fahrenheit. This fairly high melt point provides some beneficial properties for your homemade candles. This higher melt point allows the wax to carry a higher fragrance load of up to 12% of fragrance oil per pound of wax.Thus, you can make a stronger scented candle than the typical 10% allowance for candles. Further, the higher melt point of this wax will help those that may be shipping candles in hotter temperatures. Also, this pure soy wax can be blended with other waxes, such as paraffin, beeswax, or any microcrystalline waxes. This candle making idea takes advantage of the agreeability of soy wax with waxes like beeswax. Since beeswax is a harder wax that has a higher melt point than this pure soy wax, it was perfect for creating designs. These embedded candles use the beeswax to create the leopard print pattern. After, the regular soy wax was added to the jar to fill up the candle and hold all of the leopard print spots in place. Next, we have a candle recipe that uses soy wax to create the grass effect on top. You simply beat the candle batter until you achieve a thicker consistency. Then, you can add it to your homemade candle. This will create the effect of more realistic grass with dirt underneath. Perfect for the football field inspired candle! Another great way to use this type of soy wax is a regular type of candle. Our Citronella Soy Wax Candle Recipe has a typical candle appearance with an unforgettably strong scent. This fragrance oil has a crazy strong aroma that creates a perfect citronella candle for the outdoors. Say goodbye to bugs and hello to your perfect soy wax scented candle! One great thing about using pure soy wax is that it is considered a natural moisturizing agent! So, adding this wax to a massage candle is perfect! The natural soy wax works together with the butters and oils to soften your skin during a relaxing massage. It is a perfect recipe for candles for massage therapy. Also, you can use the 415 soy wax in this fun beer themed candle! This recipe utilizes the lower pouring temperature of the wax, which creates a thicker pour. This is helpful for making some kinds of toppings, like the foam on our beer candle! We can mix the wax as it cools to create a fluffy consistency that looks just like the foam on top of a pint of beer. Also, we have a second soy wax alternative that is available for use in candle making. This next wax is Golden Foods Soy Wax 444, which is regular, natural soy wax with an additive. This additional ingredient is a soy based additive that is mixed to the soy wax. While this wax has the same type of wax, this additive helps to solve some of the issue you may come across when using the the 415 soy wax. So, we will go over some of the benefits to using this alternative type of soy wax. First, this wax will increase your pour temperature during candle making. An issue that comes up with the pure soy wax is pouring too hot can cause issues with appearance. Meaning that the problem of the getting the slushy state pouring with the natural soy wax at the suggested 110 degrees Fahrenheit, can be solved with this wax. Thanks to this additive, you are able to pour this 444 soy wax at 135 degrees Fahrenheit. This means that your wax will still be in a fluid form when you pour and the candle will have a smoother appearance. This difference is partially due to the fact that this type of soy wax will reduce frosting, so you don’t have to worry about cooling the wax to a slushie state to reduce this effect. Also, the Golden Foods Soy Wax 444 provides you with a higher melt point than the other alternative soy wax. This wax has a melt point between 120- 125 degrees Fahrenheit, which will provide you with a few benefits. First, you will be able to raise the fragrance oil allowance in your candle to up to 12% of your scent per pound. So, you will be able to create a stronger scented candle. Second, your candles will be less likely to melt when the weather gets hotter. So, it will be safer to ship candles as they will be less likely to melt in hot temperatures. Again, we are using the higher melting point of beeswax to help create a cute candle design! We only use the beeswax for the red portion, which will be used for the zebra stripes. This will help prevent the wax from melting after the rest of the candle is added to the jar. Meaning, you shouldn’t have smears or running colors that could have been caused by the, melting of the red wax. Another natural wax that you can use instead of the pure soy option is the Golden Brands Soy Wax 464. This wax is one of the two alternatives that we carry for candle makers. While this wax is similar to the other alternative wax as they both contain a soy based additive. This wax has some similarities and differences with these other waxes. Just like with the 444 soy wax, this type of soy wax will have an increased pour temperature, which is at 135 degrees Fahrenheit. Since the original soy wax has to be poured at a lower temperature, this wax will become a slushy consistency by the time you can pour. However, this wax alternative will pour at a temperature where the wax remains liquid. So, the candle will be smooth, like the 444 soy wax candles. Additionally, this type of wax has been made to reduce the frosting that comes with soy wax. While this frosting isn’t harmful, it does impact the appearance of your candle. The main difference between the Golden Foods Soy Wax 444 and the Golden Foods Soy Wax 464 is the melting point. While the 444 soy wax has a higher melting point, like the original soy wax, the 464 soy wax is not the same. Instead, the 464 soy wax has a melt point of 115-120 degrees Fahrenheit, which is a few degrees lower than the other waxes. This means that you should be monitor the weather more careful to prevent the candles from getting too hot and melting. However, this lower melt point allows for a better glass adhesion in the finished candle! While the maximum scent load for this wax is about 10-12%. We suggest that you have the fragrance oil at 10% of the wax to reduce the possibility of fragrance oil seepage. While candles are fun to create, it is always nice to try something new. Our sparkling potpourri gel uses this type of soy wax and rice bran oil to create a gel-like product that is perfect for a wax melt warmer.SImply squeeze some into the dish of a warmer and let the product do what it does best scent your home! This recipe is perfect for creating a simple candle that is still fun! This festive candle maintains the mardi gras spirit while not getting too crazy. This solid candle is simple and perfect! Since this recipe uses 464 soy wax, the wax adheres perfectly to the jar and has a very smooth consistency. Also, you can create a fun homemade candle for St. Patrick’s Day. This cute clove candle is perfect for anyone that enjoys unique, homemade decorations that you can use for this holiday. Not only is is a cute candle for this tradition, but this candle creation is a great room scenting product. The candle has a nice burn and smells very fresh. There are some possible issues that apply to all soy wax candles, so some advice may be helpful. First, you may have issues with the scent throw of soy wax candles. While this is the nature of soy wax, there are a few things you can do to maximize your scent throw. You can try increasing your wick size, however be careful not to go too large or you can burn the fragrance oil off before it hits the air. Also, make sure that you have added the maximum amount of fragrance. While each fragrance will be different, most will use 1.5 ounces of fragrance oil per pound. Second, you can reduce wet spots by heating the jar before pouring your wax. This will allow the wax to have time to better adhere. Finally, you can reduce frosting by heating the jar as it allows your wax to cool slower. This entry was posted in Candle Making Recipes, candle making supplies, Fragrance Oils, homemade candles, Natures Garden and tagged beginner candles making, candle making at home, candle making for beginners, candle making kits, candle making supplies, color blocks, diy soy candles, floral bouquet fragrance oil, fragrance oils, fresh linen fragrance oil, hexagon candle jars, homemade soy candles, Hot Baked Apple Pie Fragrance Oil, how to color soy candles, how to make candles, how to make homemade soy candles, how to make soy candles, how to make soy wax homemade candles, how to scent candles, htp wicks, make soy candles, natural soy wax, natures garden, pour pots, soy candle making, soy candle making instructions, soy candle making supplies, soy candle making tips, soy candle supplies, soy wax candle making kit, soy wax kit, vanilla silk fragrance oil, what do i need to make candles, wholesale candles oils on January 20, 2017 by Deborah Ward. The Natures Garden Soy Wax Candle Making Kit is a perfect and simple way to create candles of various scents. This kit comes with all of the necessary ingredients that are needed to create candles. Plus, the kit comes with a printed page of directions that are easy to follow. So, this is a perfect introduction into candle making for those that have not yet tried creating their own candles. While this is not my first candle creation, I still enjoyed creating this kit. It was nice to have a recipe planned out, so I could just enjoy the coloring and scenting aspects of the project. For instance, I created one candle that was Vanilla Silk on the bottom and Hot Baked Apple Pie on the top. Honestly, I cannot wait to try it out! So whether you have never created a candle or are just looking for an easy craft night, this candle making kit may be something you’ll want to try out! You will receive enough materials to create enough materials to create about 10 candles. Along with the soy wax, you will be provided with HTP candle wicks, hexagon jars (you will have a few extra), and four fragrance oils. These fragrance oils include Hot Baked Apple Pie, Vanilla Silk, Fresh Linen, and Floral Bouquet. So, pick your favorite candle scents! Additionally, you will receive two color blocks, burgundy and green. Finally, you will receive warning labels to place on the bottom of your jars. Since you will only need 3/8 of a color block at most for creating all of your candles, you can feel free to only use one or use both to create your candles. You can save the rest, along with the extra jars for your next craft. Make sure that all of the equipment needed is ready for use. Also, be sure you have any equipment need that is not provided within your candle making kit. Further, be sure that your work area has been sanitized and you have enough room to create the candles, this will include your stove top. Also, be sure to plug in your hot glue gun so that it ready when you need it. While we will be following various steps to create these soy wax candles, there will be a basic formula used for creating the candles in this kit. This candle recipe is the following: 1 pound of wax, 1/8 or less of a color block, and 1 oz to 1 ½ oz. of a fragrance oil. The double boiler will be created to prevent the wax from being scorched. First, take your pan and add about a half inch of water. Next, you should place the pan on the stove. Later, you will boil the water. Also, you will set the pouring pot into the water once all the ingredients are added to the pouring pot. Initially, you will put one entire pound of soy wax into the pouring pot. Also, add 1/8th or less of either your green or burgundy color block. Personally, I added 1/8th of the burgundy color block to my first two batches and 1/16th of the green color block to the last batch. However, you can add your color blocks in any amount you desire. Now, take your thermometer and set it into the pouring pot. As you melt your wax you should keep an eye on the temperature. Additionally, mix occasionally as it melts. Once the mixture of wax is at 175 degrees Fahrenheit you will be able to remove the pouring pot from the boiling water. Second, we will anchor your wicks into the glass candle jars. Take your hot glue gun and dab some glue on the metal of the wicks. Next, quickly place this end of the wick into the center of the bottom inside of the jar. Repeat this with your jars until each of the jars are filled. This can be done while you are waiting for your wax to melt. Next, you will wait for the temperature of the colored wax to drop to approximately 130 degrees Fahrenheit. Once the wax cools to this temperature, add one full oz. of your preferred scent. Then, mix well to incorporate the scent. You will have Hot Baked Apple Pie, Vanilla Silk, Fresh Linen, and Floral Bouquet available for you to choose. Personally, I picked Hot Baked Apple Pie, Vanilla Silk, and Fresh Linen for my candle batches. While you won’t necessarily need the fourth for this candle project, you can use your fourth to create a separate project at a later time. Alternatively, you can create smaller batches using each fragrance. For example, if you used half a pound of wax, you could use 1/2 ounce of fragrance oil. This would allow you to try each scent in the soy wax candle kit. Now, wait for the scented wax mixture to cool further. Once the wax had cooled to about 110 degrees Fahrenheit and seems to be like a slushy in appearance it is ready to pour. So, when the wax reaches this temperature you can pour the wax into the glass jars. Get four jars ready and make sure the wicks are fairly straight and carefully pour the wax mixture. Make sure to avoid getting wax on the side of the jar. Also, make sure the wicks remain straight as the was cools. You can use something like pencils or butter knives to hold the wicks in their correct position. Although you have completed your candles for your first scent, you still have enough materials to complete candles with two more scents. You will follow the same steps to create the next two batches. Be wary that you don’t ignore the temperatures when creating the remaining soy wax candles. It can be easy to get careless as you repeat the same steps, but the temperatures that certain steps are done are not arbitrary. For example, if you pour your wax at too hot of a temperature the candles are likely to have sunken parts and air pockets. Soy wax also has a natural frosted look to it. This is lessened by pouring at the correct temperature. Finally, your candles are finished! While you may be excited to test out your candles, you would want to wait a few days before lighting to allow your candle to cure. Once your soy candles have set up, trim the wick and place the lid on. For the best results, freshly made candles should be able to rest for about three days. Also, you may want to consider adding the warning label stickers to the bottom of the candles to ensure that the candles are used correctly. This is especially important if you intend to sell your candles or to share your candles with friends. But, above all, I hope that you enjoy your candle creations! This entry was posted in candle making supplies, Fragrance Oils, Natures Garden, Natures Garden Fragrance Oils, Soap making supplies, wholesale fragrance oils and tagged 100 soy wax flakes, 100 soy wax wholesale, 100% soy wax, bath and beauty crafts, bath and beauty gift basket supplies, bath and beauty packaging supplies, bath and beauty recipes, bath and beauty suppliers, bath and beauty supplies, bath and beauty supplies wholesale, bath and body lotion recipes, bath and body product supplies, bath and body recipes, bath and body recipes homemade, bath and body scented recipes, bath and body supplies, bath and body supplies bulk, beauty recipes, best soy wax for container candles, best soy wax for scent throw, body safe scent, body scrub recipes, bulk craft supplies, buy sustainable palm wax, complex scent, complex soap scent, container wax, cp soap scent, discount craft supplies, diy air fresheners, diy bath and body products, diy bath bombs, diy bath fizzies, diy candle making, diy candles, diy cosmetics, diy lotion, diy lotions, diy perfume, diy room scenting, diy soap, diy soap making, floral fragrance oils, floral notes, floral oils, floral scent perfumes, floral scented candles, floral scented home oils, floral scents, flowers scent, fragrance for cp soap, fragrance fun, fragrance oil, fragrance oil spotlight, fragrance oils for soap, fragrances for candles, fragrances that are strong in candle, fragrances that are strong in cosmetics, fragrances that are strong in soap, fruit and floral scent, fruity notes, good fragrance for soap, great cp soap scent, handmade bath and body recipes, handmade bath gel, handmade bath oils, handmade bath teas, handmade scented crafts, homemade air fresheners, homemade bath fizzies, homemade candles, homemade lotion, homemade perfume, homemade soap, how to make bath tea, how to make candles, how to make lotion, how to make scented candles, how to make soap, how to scent candles, how to scent lotion, how to scent perfume, how to scent scrubs, how to scent soap, jasmine notes, make floral scented bath bombs, make floral scented body oil, make floral scented perfume, make floral scented soap, making soap, making soap from scratch, natural bath and body recipes, natures garden, palm container wax, palm wax, paraffin blend waxes, pillar of bliss wax, pillar soy wax, pillar wax, pillar wax candles, pillar wax wholesale, Pineapple Fragrance Oil, pineapple fragrance perfume, Pineapple Jasmine Fragrance Oil, pineapple scented candles, pineapple scented jar candle, pineapple scented perfume, rose notes, soap scent, soy wax candles, soy wax flakes for candle making, soya wax, soybean wax candles, strong cosmetic scents, strong lotions scents, strong scent after cure, strong soap scents, sweet aroma, sweet cleaning supplies, sweet cp soap scent, sweet room scent, sweet scent, sweet soap scent, very complex scent, wholesale beauty craft supplies, wholesale candle craft supplies, wholesale candle fragrance oils, wholesale candle suppliers, wholesale candle waxes, wholesale cosmetic fragrance oils, wholesale cosmetic suppliers, wholesale craft suppliers, wholesale craft supplies, wholesale craft supplies for businesses, wholesale craft supplies online, wholesale fragrance oils, wholesale palm wax, wholesale scenting supplies, wholesale soap fragrance oils, wholesale soap suppliers, yellow candle dye, yellow liquid candle colorant, yellow liquid candle dye, yellow liquid soap colorant, yellow liquid soap dye, yellow soap colorant, yellow soap dye on October 10, 2016 by Deborah Ward. What Does Pineapple Jasmine Fragrance Oil Smell Like? A creative blend of top notes of ripened pineapples, pears, and apples; middle notes of ferns and clover; bottom notes of jasmine and rose petals. Very Complex! How Do Our Customers Use Pineapple Jasmine Fragrance Oil in Room Scenting Recipes? 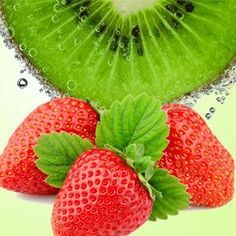 Homemade room scenting recipes can be created with this fruit and floral fragrance oil. Not only can potpourri and incense use this fragrance oil, but they can include up to 50% fragrance oil. Household cleaning products can be scented with this complex aroma. These products should not use more than 5% of Pineapple Jasmine Fragrance Oil. Also, aroma beads will retain a strong scent when they use this fragrance oil. Additionally, different wax creations like container and pillar candles or granulated wax potpourri. Any candles or wax melts made using this aroma can use a maximum of 10% of this jasmine scent. Nature’s Garden’s Pillar of Bliss, Joy Wax, and WOW Wax would use this scent perfectly. Further, natural waxes like palm wax and soy wax will retain a nice and strong aroma. If you are coloring your candles, and aren’t quite sure how to color them, then listen to our suggestion. We suggest using three drops of yellow liquid candle dye per four pounds of wax used or adding a small amount of a shredded yellow color block to the melted wax. Note that adding crayons to your candles will clog your wick and potentially ruin your candle. How Do Our Customers Use Pineapple Jasmine Fragrance Oil in Bath and Body Recipes? Both melt and pour soaps and cold process soaps can each use this complex fragrance oil in their recipes. Our Cold Process Soap Testing Results have shown that this scent is nearly perfect for making cold process soap! A batch that uses this scent will have a no ricing, no acceleration, and no separation. The final products will have a discoloration of a light beige hue and the scent retained will be strong after cure. You can add yellow liquid soap colorant to your bath and body products or you can add your personal preference. No matter which you choose, just make sure that it isn’t a candle dye as that dye is not body safe. 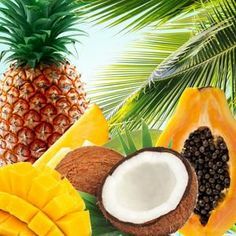 This pineapple and jasmine fragrance oil can be use to create many different kinds of bath and body products. Bath gels, bath teas, scrubs, bath bombs, lotions, perfumes, and any other related bath and body products are allowed to include a maximum of 5% for this fragrance oil. Try one of our unscented bases to make a wide variety of beauty products. However you choose to use Pineapple Jasmine Fragrance Oil, we hope that you enjoy this complex fruit and floral fragrance as much as we do. We just know it will give each product a scent that is too great to pass up! This entry was posted in bath products, candle fragrance oils, Fragrance Oils, Natures Garden, Natures Garden Fragrance Oils, wholesale fragrance oils and tagged aroma beads, bath and body, bath and body products, body safe fragrance oil, candle making ideas, candle making supplies, candlemaking supplies, cashmere woods, Complex, designer dupe, designer dupes, Designer duplication, Euphoria, Euphoric Majesty, euphoric majesty fragrance oil, feminine, feminine fragrance oils for homemade soap, feminine fragrances for homemade candles, floral, Flowers, fragrance oils that smell similar to euphoria, fruits, fruity, Green Notes, homemade, homemade candles, how to make perfumer, how to make soap, how to scent bath bombs, how to scent candles, incense, ingredients to make homemade lotion, ingredients to make homemade perfumes, natures garden, patchouli, purple fragrance oil ideas, scents for soap, soap fragrance oil, soap making ideas, soap making supplies, soap scents, Soy wax, wholesale fragrance oils on May 31, 2016 by Deborah Ward. Lose yourself to a state of euphoria the moment you open up this unique, complex fragrance. Euphoric Majesty Fragrance Oil from Nature’s Garden is a sharp, sensual blend designed for regal appeal and a breathtaking aroma. The feminine scent is incredibly complex, but each and every note work in perfect harmony to send you into pure bliss. Embrace sensuality and fantasy with this fragrance oil, and allow yourself to slip into euphoria. Euphoric Majesty Fragrance Oil from Nature’s Garden is a perfect choice if you need a standout fragrance for your scented product line! What Does Euphoric Majesty Fragrance Oil Smell Like? 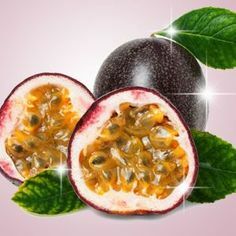 Euphoric Majesty Fragrance Oil from Nature’s garden is a provocative blend of pomegranate, persimmon, green notes, black orchid, lotus blossom, liquid amber, mahogany woods, black violet, and a cream accord! How Do Our Customers Use Euphoric Majesty Fragrance Oil? Set the mood with this sensual fragrance oil! You can create prominent room scenting products with this fragrance oil. Those creating homemade air fresheners can incorporate up to 50% of this fragrance oil in their projects. You can use this complex fragrance oil in reed diffusers, incense, or potpourri recipes. This fragrance oil was also found to create strongly scented aroma beads. Candles and wax tarts can be made using this wonderful fragrance oil. You can use up to 10% with vegetable and paraffin wax. This feminine aroma will perform perfectly in candle waxes as well. It does wonderfully in Joy Wax, Wow Wax, and even Pillar of Bliss. If you color your candles, we would recommend 2 drops of red and 1 drop of blue liquid candle dye per 4 pounds of wax. You can also color your melted wax with a small amount of red and blue color blocks. Crayons are never recommended to color your candles as they will clog your wick. Euphoric Majesty Fragrance Oil can also be added into your homemade bath and body products. Bath gels and oils will smell wonderful when the recommended maximum of 5% fragrance oil is used. Those making soap can use 5% fragrance oil in homemade soap recipes. Our Cold Process Soap Testing Results show that this fragrance oil had a perfect pour! There was no ricing, no acceleration, and no separation. Cured soap discolored to a very slight tan and had a strong scent! We would recommend using red and blue soap colorant in the amount that satisfies you in bath and body products. Do not to use candle dyes in your bath and body products as they will dye your skin. Customers also incorporate this scent into other body products. One such product is homemade perfume. Handmade perfumes perform well with this fragrance when a maximum of 5% fragrance oil is used. Homemade lotions can be created using Euphoric Majesty Fragrance Oil. We recommend lotion recipes use no more than 5% fragrance oil. Homemade cleaning recipes can also be created using a maximum of 5%. This entry was posted in bath and body, bath products, candle fragrance oils, Fragrance Oils, Natures Garden, Natures Garden Fragrance Oils and tagged beachy fragrances, beachy scents, candle making supplies, cold process soap, cp soap, crafts as a hobby, fragrance oil spotlight, fragrance oils, free recipe, fruity, homemade, homemade air fresheners, homemade candles, homemade soap, house smell good, how can i use mango papaya fragrance oil, how to make soap, how to make stuff smell good, how to scent candles, how to scent soap, how to scent stuff, incense, make candles, make homemade fragrance, make homemade soap, make soap, Mango, mango fragrance oils, mango papaya aroma, mango papaya fragrance oil, mango papaya scent, mango scents, melt and pour soap, natures garden, natures garden candle supplies, natures garden tropical fragrance oils, papaya, papaya fragrance oils, papaya scents, scent for soap, soap fragrance oil, soap fragrance oils, soap making, soap making supplies, soap scents, soaping fragrance, soapmaking, soapmaking supplies, soaps, Soy wax, tropical, tropical fragrance oils, tropical scents, wholesale fragrance oils on May 6, 2016 by Deborah Ward. Shhhhh… Do you hear that? That’s the sound of tropical paradise calling your name. 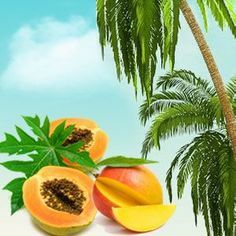 You could take time off of work, spend too much money, and fly to the tropics, or your could indulge in Mango Papaya Fragrance Oil from Nature’s Garden. A true tropical delight, Mango Papaya is the delightful fruity aroma of ripened mango and juicy papaya. These two tropical fruits intertwine to create a medley of aromas so luscious, you’ll believe that you’re drifting away into a mango yellow and papaya orange sunset. This fragrance is a Nature’s Garden Best Seller, but it also does very well for our customers! A customer from Chesapeake, VA writes “If you add this product to your line it will become a best seller. This is the best Mango Papaya fragrance on the market. I can’t keep this fragrance in stock and have many repeat orders for this true to its name fragrance.” Let Mango Papaya fly off of your shelves today! What Does Mango Papaya Fragrance Oil Smell Like? 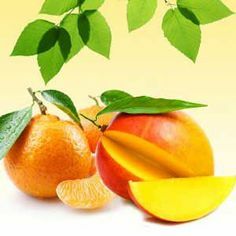 Mango Papaya Fragrance Oil is the succulent fruity aroma of fresh, ripe mango and juicy papaya. This fragrance now contains higher levels of essential oil! How Do Our Customers Use Mango Papaya Fragrance Oil? 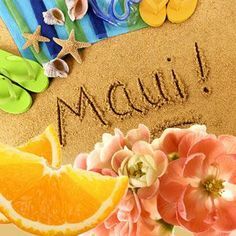 Mango Papaya scent is perfect for creating room scenting products that will take you away to a tropical paradise. Room scenters can blend up to 50% of this beachy fragrance oil in projects. Mango Papaya Fragrance Oil performs exceptionally well in incense and potpourri. This fragrance oil is also strong in aroma beads and smelly jellies. Homemade candle crafters can use Mango Papaya Fragrance Oil up to 10% with vegetable waxes and paraffin wax. This scent will perform perfectly in Joy Wax, Wow Wax, and is nice and strong in soy waxes. Give your candles and tarts some color by adding 3 drops red and 1 drop coral liquid candle dye per 4 pounds of wax. You can also color your melted wax with a small amount of yellow and coral color blocks. Do not use crayons to color your candles, they will clog your wick. 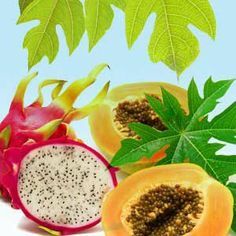 Mango Papaya Fragrance Oil can also be used in your bath and body products. Bath gels, bath bombs, and bath oils were found to perform well when the recommended maximum of 5% fragrance oil is incorporated. If you are making cold process soap, you may use this fragrance up to 5% of your total recipe. Our Cold Process Soap Testing Results show that this fragrance oil had a very strong scent retention and did not discolor. The soap did not rice nor separate. There was no acceleration. If you wish to color your bath and body products, we would recommend using red and orange soap colorant in the amount that satisfies you. Remember not to use candle dye in any of your bath and body products as they are not body safe. 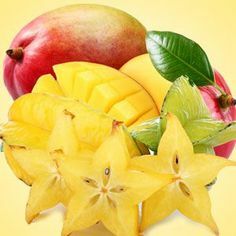 Mango Papaya will add a juicy twist to any of your products! Homemade perfumes perform well with this tropical fragrance oil when a maximum of 5% fragrance oil is used. Homemade lotions should use no more than 5% fragrance oil maximum. Homemade cleaning supplies also perform well with a maximum fragrance usage of 5%. This entry was posted in candle making supplies, Fragrance Oils, Natures Garden, Natures Garden Fragrance Oils, wholesale fragrance oils and tagged aroma beads, bath and body, bath and body products, body safe fragrance oil, candle fragrance oil, candle making, candle making supplies, candle scents, candlemaking supplies, candles, christmas aromas, christmas candle oil, christmas fragrance oil, Christmas scents, christmas soapmaking oils, cold process soap, cold process soap scents, cp soap, Crafts, crafts as a hobby, dance of the sugar plum fairy fragrance oil, dance of the sugar plum fairy scent, diy, fragrance, fragrance oil, fragrance oils, free recipe, Holiday, holiday fragrances for candles, holiday fragrances for soap, homemade, homemade air freshener scents, homemade potpourri scent, how to scent candles, how to scent soap, melt and pour soap, natures garden, oils used in candlemaking, oils used in soapmaking, potpourri, soap fragrance oils, soap making, soap making supplies, sugar plum aroma, sugar plum fragrance oils, sugar plum scent, thing I need to make soap, things i need to make candles, wholesale fragrance oils on May 5, 2016 by Deborah Ward. Dance of the Sugar Plum Fairy Fragrance Oil from Nature’s Garden is a complex, charming fragrance with delightful surprises. This fragrance is a sweet and spicy blend that will make your senses dance! The Sugar Plum Fairy is the ruler of the Land of Sweets in Tchaikovsky’s The Nutcracker. Just like the Sugar Plum Fairy, this fragrance oil will commission sweets and fruits to dance for your enjoyment! You will surely be charmed by the way the fruity top notes mix effortlessly with the spicy mid notes, and how gently these rest on the earthy, woody base. Try Dance of the Sugar Plum Fairy (no battle with a Mouse King necessary) today! What Does Dance of the Sugar Plum Fairy Fragrance Oil Smell Like? Dance of the Sugar Plum Fairy is a fragrance oil full of surprises. Fruity top notes such as plum and black cherry are complemented by spicy middle notes, including black pepper, clove, and cinnamon. These rest on a base of sandalwood and eucalyptus. How Do Our Customers Use Dance of the Sugar Plum Fairy Fragrance Oil? Dazzle your customers by incorporating Dance of the Sugar Plum Fairy Fragrance Oil into your product line. Set the mood with a warm, vibrant aroma. Room scenters can incorporate up to 50% of this fragrance oil in projects like reed diffusers, incense, and potpourri. This fragrance oil is also strong in aroma beads. Homemade candle crafters can use Dance of the Sugar Plum Fairy Fragrance Oil up to 10% with vegetable waxes and paraffin wax. This scent will perform perfectly in Joy Wax, Wow Wax, and is nice and strong in soy waxes. If you wish to color your candles, we would recommend three drops of purple and a small amount of red liquid candle dye per 4 pounds of wax. You can also color your melted wax with a small amount of purple and red color blocks. Do not use crayons to color your candles as they will clog your wick. Dance of the Sugar Plum Fairy Fragrance Oil can also be used in your bath and body products. Bath gels and oils were found to perform well when the recommended maximum of 5% fragrance oil is incorporated. If you are making cold process soap, you may use this fragrance up to 5% of your total recipe. Our Cold Process Soap Testing Results show that this fragrance oil had a very strong scent retention and discolored to a light beige. There was no separation, no ricing, and no acceleration. We would recommend using purple and red soap colorant in the amount that satisfies you if you choose to color your bath and body products. Remember not to use candle dye in any of your bath and body products as they are not body safe. Dance of the Sugar Plum Fairy Fragrance Oil is a mesmerizing scent that can be used in many types of products. Homemade perfumes perform well when a maximum of 1.74% fragrance oil is used. Homemade lotions adhere to a 1.74% fragrance oil maximum. Homemade cleaning supplies can also be created with a maximum fragrance usage of 5%.